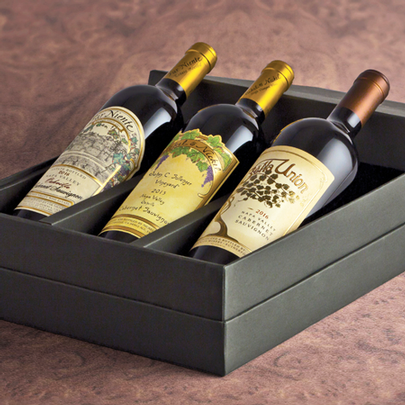 Each Cabernet Sauvignon in this one-of-a-kind collection reflects our more than 30 years as experts in the art of growing and making Napa Valley Cabernet. It’s handsomely boxed and only available from us. We've combined the lessons learned in blending Far Niente's Oakville Estate Cabernet Sauvignon, with an intimate knowledge of the Napa Valley through single-vineyard Cabernets like Nickel & Nickel John C. Sullenger Cabernet Sauvignon, Oakville, in order to create a truly beautiful union of carefully selected sites in our Bella Union Cabernet, Napa Valley.